Create the perfect atmosphere in your home with ceiling fans from MyFan. 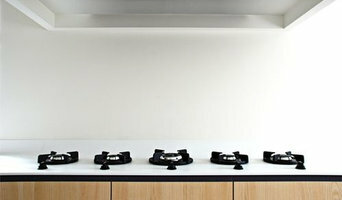 PITT cooking: integrated gas hobs, made in Holland. A real eye catcher in your kitchen. The subtle integrated burners will fit in every kind of kitchen. 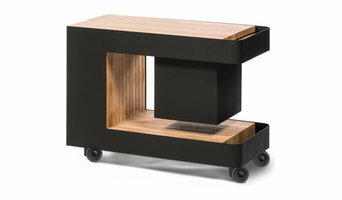 Classic, rural, contemporary, design: PITT cooking knows no boundaries. The position of the burners can be established from the customers point of view. With PITT cooking, you will be the designer of your own cooking area. 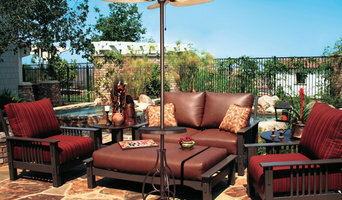 We are importers and retailers of luxury outdoor living products, including the indu+ outdoor induction cooking range. 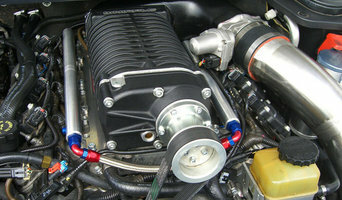 Goat Performance Products is more than just your average performance workshop – we design and manufacture the supercharger kits that other workshops fit. With more locally designed kits using Positive Displacement, Screw and Centrifugal Superchargers, we are the largest Supercharger system design company in the Eagle Farm. World Wide Designers and Suppliers of Supercharger Kits & Installation, Performance Parts, – we design and manufacture the supercharger kits that other workshops fit. we have been manufacturing high-efficiency centrifugal superchargers that provide significant performance gains. Due to ongoing research Goat Performance Products offers technology’s that are often not found on any other brand such as liquid cooling, decoupler clutches, billet impellers, infinite drive/boost on demand, hollow shafts and anodized color options. We specialise in selling and servicing household appliances to Brisbane and surrounding areas. When you like to have a home for yourself, then you have to find Custom Home Builders in Brisbane who will help you to build your dream home. So, in this case, you have to select the home builder who has a good reputation in the real estate industry. But in reality, choosing a home builder is very much difficult task. So, you have to follow some steps which will help you to find the right builder for your home. Before you start your selection procedure, you have to gather the information about the home builders who are working in your neighboring area. No More Pain Ergonomics was established in 2013. Ergonomic equipment designed for comfort and productivity. We help people work comfortably and pain free. Betta is an Australian owned and operated Electronics and Furniture retailer and has been part of the Australian community since 1961. A huge store network of over 200 stores allows for great buying power. With access to over 100 leading brands, such as Samsung, LG, Panasonic, Fisher&Paykel, Beko and Electrolux Betta is the place to go for better deals on TVs, Fridges, Washing Machines, Air Conditioners, Furniture, Kitchen Appliances, Cooking and much more. Shop in store, online or on mobile… That's Betta! We are an importer/wholesaler that supply commercial grade quality microfiber cloths. We supply many different industries such as; Cleaning, Automotive & Marine, Bars & Restaurants. Our aim to provide a balance between quality and value for money. Microfibre World is a direct importer and wholesaler of commercial quality microfibre cleaning cloths. We source our products direct from Mainland China and we keep in continuous contact with our suppliers ensuring the highest quality of our products is maintained. As a wholesaler we have a minimum purchase quantity is 200 cloths. For smaller quantities please visit our retail website microfibrecloths.com.au. We firmly believe our cloths offer the greatest value for money in the Australian market and so if for whatever reason you are not 100% satisfied we will provide a full refund. Savige Pest Control offers a full service pest control solution to residential and commercial properties and are backed by a team of experienced professionals who are committed to you the customer. Services Termites - Savige Pest Control is here to protect your home from becoming another statistic of termite damage. We offer a range of services to manage termite activity including inspections, treatments, monitoring and tips for prevention. Pest Control - Our experienced technicians will provide you with a tailored solution to protect your home and family from a range of pests including cockroaches, ants, spiders, fleas, bees and rodents. We only use well known and trusted brands such as Termidor and Biflex all of which are safe for your family and pets. Inspections - No matter if you're buying or selling it's critical you get your home inspected to identify any pest problems and prevent damage. Our expert inspectors will assess your property using the latest technology and compile a detailed report including advice and recommendations. Brisbane Residential & Commercial Drafting provides you with a quick, efficient design and drafting service for all aspects of residential and commercial building. Our aim is to promptly get your concept, completed to a level you will need for your building certifier to assess. With over 30 years in the industry, working closely with engineers, builders, building certifiers and local authorities you can take confidence from our wealth of experience. Servicing Brisbane, Moreton Bay, Sunshine Coast and Surrounding Local Councils. Your Queensland appliance professional might handle any or all of the following jobs: selling, installing, repairing and upgrading both small and large appliances. He or she can advise you on the right equipment for your Wooloowin, Queensland home, from features to finishes, and is usually in the know about the latest technological advances and bells and whistles. When appliances hit a snag or start to show their age, a pro can advise you whether to repair or replace them, then carry out his or her recommendation. Some appliance professionals in Wooloowin work closely with Wooloowin, Queensland builders, renovation contractors, and kitchen and bath designers, among others. Here are some related professionals and vendors to complement the work of appliances: Kitchen & Bathroom Fixtures, Kitchen & Bathroom Designers, Kitchen & Bath Renovators, Specialty Contractors, Building Project Managers. Find an appliance professional on Houzz. 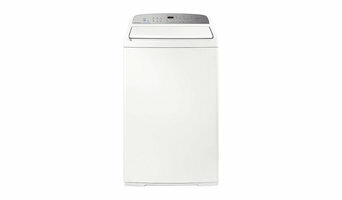 Narrow your search in the Professionals section of the website to Wooloowin, Queensland appliances. You can also look through Wooloowin, Queensland photos to find examples of rooms with appliances you like, then contact the professional who worked on them.